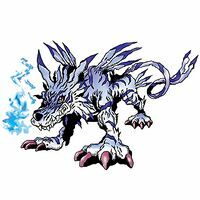 The Garurumon-species is a family of Wolf Digimon who nearly all have the suffix "-Garurumon" in their name. Ancient Garurumon's abilities were passed on to the "Beast Digimon" including the Garurumon-species, and Metal Garurumon is considered their final form. This page was last modified on 7 January 2018, at 11:04.